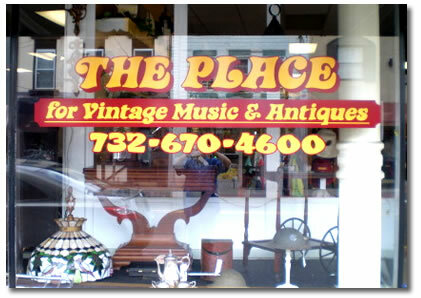 THE PLACE for Vintage Music and Antiques is located in the heart of Historic Keyport in Monmouth County, New Jersey. Keyport is known as “The Pearl of the Bayshore” where you can shop and dine. And, while in town, be sure to visit the Waterfront with its magnificent view of New York City.